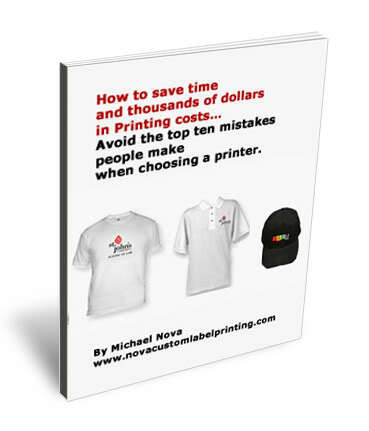 If planning to order printed shirts, consider learning the below tips on how to save on custom t-shirt printing. Many people order custom imprinted items because of a number of reasons. If you want to promote your brand in general, or if there is a specific event given by the school or company, wearing t-shirts with the company or school logo will show people your support. It can also act as a great giveaway to prospective clients, friends and family. Useful Tips On How To Save On Custom T-Shirt Printing. Whether providing t-shirts or whether the printing shop will provide them, choosing garments wisely to save money on custom t-shirt printing is wise. For example, it is not really need to buy t-shirts from a branded boutique. One can just buy unbranded basic t-shirts in bulk that is a lot cheaper than the branded one. White t-shirts are also cheaper than colored shirts and the print will also be more noticeable. Choosing the right t shirt brand is an art unto itself. Prefer a tried and true brand like Hanes or Fruit Of The Loom, or a more “hip” brand like American Apparel? There are many choices, and price points to choose from, but if budget is a concern, go with a basic brand, like the aforementioned choices. Another tip on how to save on custom printed t shirts is to reduce the number of colors that is going to be used in the design. A design with one to three colors is a lot cheaper than a design with a full color imprint. Using a single color or a few colors also makes the print look clean and simple, which is something that one should aim for when designing a t-shirt. Printing on the chest area and back area will surely be more expensive than printing on the chest area alone. The more locations to be printed on, the more expensive the orders will be. It is not really needed to print all logos and names on different parts of the t-shirt. One location is enough as long as good location, design, and colors are chosen. Here is our most important tip. Ordering customized t-shirts in bulk will save a lot on the bottom line. There will always be ga discount if ordering a larger number of printed shirts. The price per unit goes down with the more quantity. So 500 units is substantially lower in cost per unit than 100. That’s just the way printing works. This can often mean literally dollars of difference per unit, and can often be worth it to pint just a few more for the lower cost, even though the few extra units may not be needed. If placing a rush order,it will cost more than if ordering t-shirts in advance. Rush fees will be assessed. This is because the printing shops need to spend extra man hours to finish custom shirt orders on time. Ideally, an order should be placed several weeks before any deadline to save cash. As can be seen from this article, saving money can be simple if the customer is making the right choices. We’re always available for advice and we regularly give out free price quotes, so feel free to contact us at any time for recommendations.